Chandeliers are an indispensable part of the interior. Successfully matched the model will be the final element of the living room decoration. With it you can both win the favor of the guests, and more worsen its reputation. 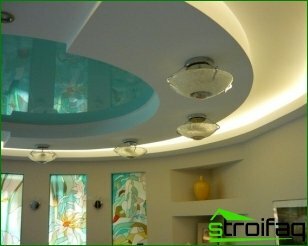 For the standard panel houses with heightceilings 2.5 meters high would be the best one for this chandelier. With it you will be able to reduce the high room. 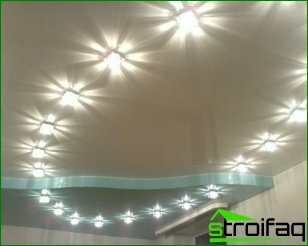 We recommend the use of chandeliers, which cover the bottom of the bulb and fixed directly to the ceiling surface. For ceiling height of three meters betteruse a stacked crystal chandeliers or products that hang on chains. However, it is important to remember that the eyes in the room are tired from the abundance of reflections created a faceted crystal. 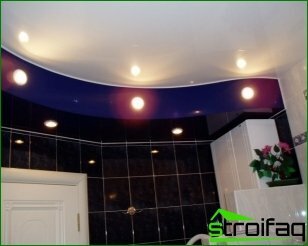 If you want a smooth diffused lighting, use the chandelier, which are directed towards the ceiling horns. This is one of the most suitable solutions. If you want to arrange the room antique,buy a lamp draped fabric with shades. It is important to bear in mind that over time, the cloth may be burned, besides textiles will mute the light, reducing its brightness. On the other hand, you can use brighter bulbs. If we talk about the choice of colors, it is important tonavigate to your taste. You can buy dark or light chandelier with painted or design. If their choice is important to remember the rule: dark colors absorb light and white - reflect. 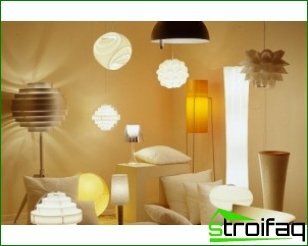 When choosing a chandelier, it is important to take into account the tone of interior decoration premises. Bright finish reflects light better than dark. 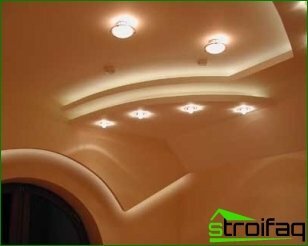 Therefore, dark rooms should take more powerful lamps than for light. The choice of accessory and influence dimensions of the room. For high buildings suitable option would be large chandeliers. 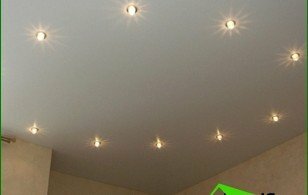 The lower rooms better to install ceiling lights. You can use the local lighting to highlight the curtain, a mirror or picture. 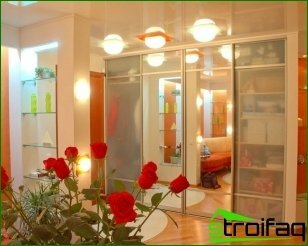 A good solution for spacious rooms willthe use of large chandeliers and switch, with which it would be possible to adjust the intensity of light: contain the required amount of light. If possible, hang a chandelier over the table for dinner. In small rooms the best option is to use a glass bowl. We looked at some guidelines for choosing the chandelier. 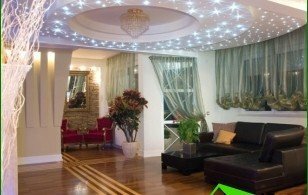 These tips will help you to choose the accessory for lighting that will best suit your needs.